I haven't posted about Disney World in a long while. Too long if you ask me. Since I started writing Disney posts seven years ago the parks have changed. The rooms and hotels have changed. Disney is constantly evolving and I'm sure anyone who follows Disney has a hard time keeping up. 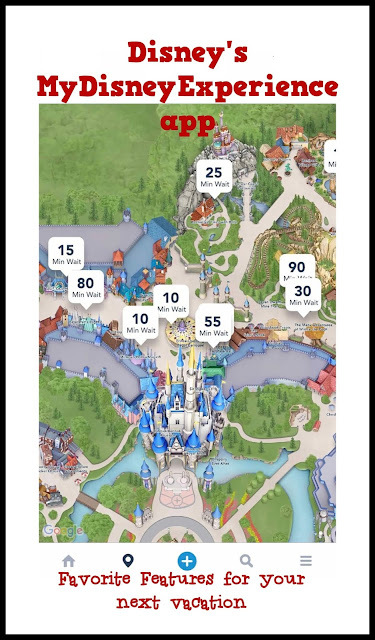 One of Disney's features that I find extremely helpful is the My Disney Experience app. When the whole smart phone thing started I was slow to adjust. But I quickly picked up on how incredibly helpful the My Disney Experience app is while I was vacationing in Walt Disney World. For anyone not in the know, MDE is the official Walt Disney World mobile app and it's handy as a swimming pool in the middle of summer. You can schedule fast passes, modify fast passes while in the parks, check in and our family's favorite, check wait times throughout the park. 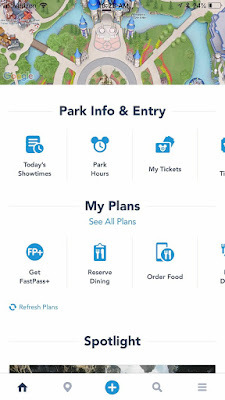 I already mentioned the ability to manage your Fast Pass+ selections on the MDE app. You can choose your Fast Pass+ experiences up to sixty days in advance (if you are staying at a Disney World resort; off property it is 30 days). You can choose up to three attractions a day in advance. Once you redeem those passes, you can add fast pass selections (one at a time) for the park you are in. With the MDE app you can modify your selections on the go as you vacation. We all know plans tend to change, and this app allows change to be easier than ever. This feature by far and away is our family's favorite. At any point in the day you can pull up the current wait times for every attraction in every park. This is very handy when you are out of Fast Passes or your next Fast Pass is an hour away. Even more handy if you plan on walking across the park in 90 degrees only to find Soarin' is temporarily out of service. This has happened to us many times. I'll find my kids at random times throughout the year checking how long the waits are in Walt Disney World. "Mom! The wait for Tower of Terror is three hours long!" Awesome. Now get that homework done. The transportation system throughout WDW is a beautiful thing. But as with everything, there are flaws. We have waited well past the twenty minutes Disney advertises while trying to get to a park. The app now has the ability to give you an estimated time the bus will arrive, which will cut back on running to the bus stop every morning in case the next bus is headed to your park. Disney is often a family vacation shared with extended family or friends. 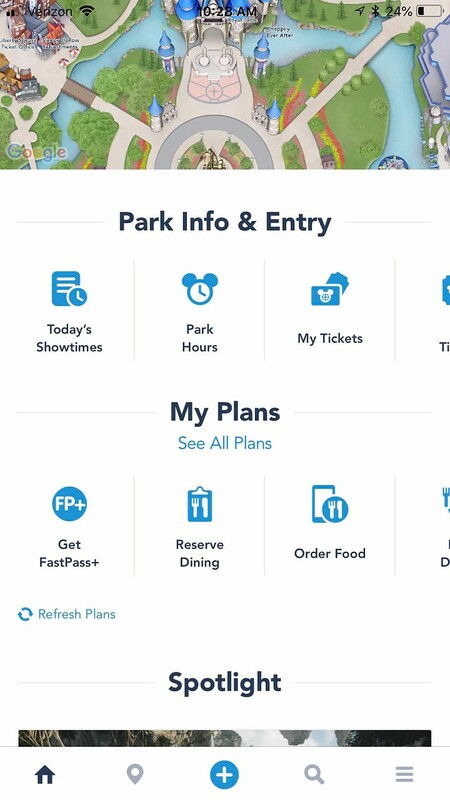 The MDE app gives you the ability to sync Fast Pass+ selections so you can all enjoy attractions together. If you invite someone via the app to be your "friend" you can share experiences and travel plans. I'm a bit nostalgic, so this one still has to grow on me. I have many memories of myself waiting in the huge lobbies of the WDW resorts waiting for my dad to check us in. I also can see my kids, as toddlers, huddled around the television in the lobby of the Wilderness Lodge watching old school Mickey cartoons while I checked my family in. But the one constant is change, and the ability to check in on the MDE app is a helpful tool for many families. You can start check in prior to your arrival, and even submit your estimated arrival time. You'll receive a notification when your room is ready, and you can even open the door with your magic bands. I guess that's kinds cool. Along with the above features I outlined, you can order food (I have yet to use this so I don't feel comfortable saying how great it is) check park hours and reserve dining. Check out more about the My Disney Experience app at mydisneyexperience.com. There is a new app in town. Well, new to me. It's called Ibotta. Before I continue I'll add that Ibotta has no clue who I am. Starbucks doesn't either and I have no idea how that is still possible. Ibotta was brought to my attention by my brother. He sent me a referral code, I joined. We both immediately had money deposited into our accounts. I still wasnt impressed. 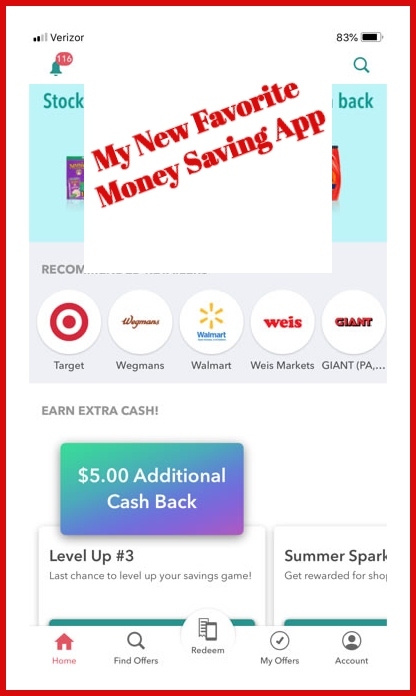 I'm wary of apps that claim to earn you money. I'm wary of anything other than an actual job that claims to earn you money. 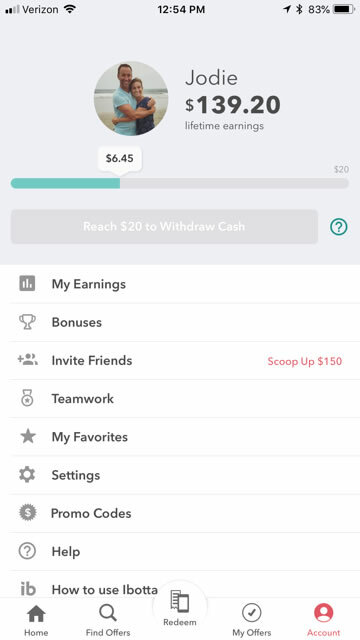 The only reason I'm sharing this app is because Ibotta actually delivers on the money earning, which is astounding. I joined Ibotta in March and by June I had earned over $100. 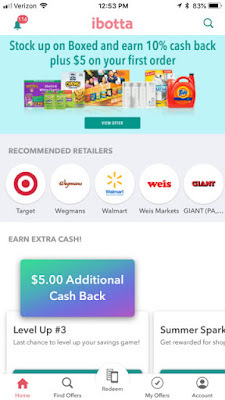 Ibotta is a lot like the Target Cartwheel app (another one of my favorites). Except rather than percentage off deals you earn actual cash back. You select a store, view their deals and check the deals you want to redeem. After you shop, you take a photo of your receipt and submit it to Ibotta. Within hours the money is in your account. You can withdraw cash as soon as you reach $20. You can turn it into gift cards or simply transfer the money right to your paypal or venmo accounts. It really is that easy. I'll add that the selection of stores is quite impressive, and all my favorites were included. You can also make money online shopping and they offer bonuses on certain products as well. 1. As with anything, the app is not foolproof. When you scan your receipt rebates may be missed. Make sure you check what offers were redeemed before you hit submit. You have the option of adding offers and scanning the item barcodes if the app misses any. 2. Read the rebate details carefully. Some require more than one purchase, some can be redeemed once per receipt, some can be redeemed multiple times. 3. Be prepared to watch 20 second clips, answer a survey question or choose your favorite flavor of an item. I'm sure part of the system is that the app is collecting information for these companies by our shopping habits. If they're paying me I'm happy to share. Use ibotta? Comment below and share how much you've saved! Want to sign up? I'd love to have you as a "friend" so we can save together! My referral code is rjsxfcg. You may have noticed I refurbished the blog. I've given it a face lift. An update. A much needed refresher. 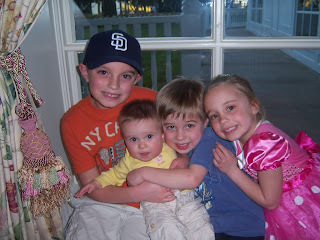 When I started this blog, my kids were little. My youngest was a baby and my oldest was in elementary school. Time has a way of changing things, and my oldest is now entering his senior year of high school. In the years between the start of this blog and today I've moved, held a few different jobs, transitioned from diapers to potty trained, adopted dogs and life in general has gone from boogie wiping to mom taxi most of the time. Enjoy every minute because in between these photos is only seven Christmas mornings. 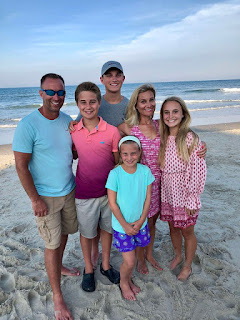 I took a long break from blogging because life was too busy and I needed to focus on the family. My kids also didn't appreciate being the theme of a blog anymore. When friends are reading your mom's blog in class its a bit embarrassing (if you are the friend reading the blog, get back to work). When I pulled up the blog today the baby chicks and munchkin crafts didn't quite fit the bill anymore. 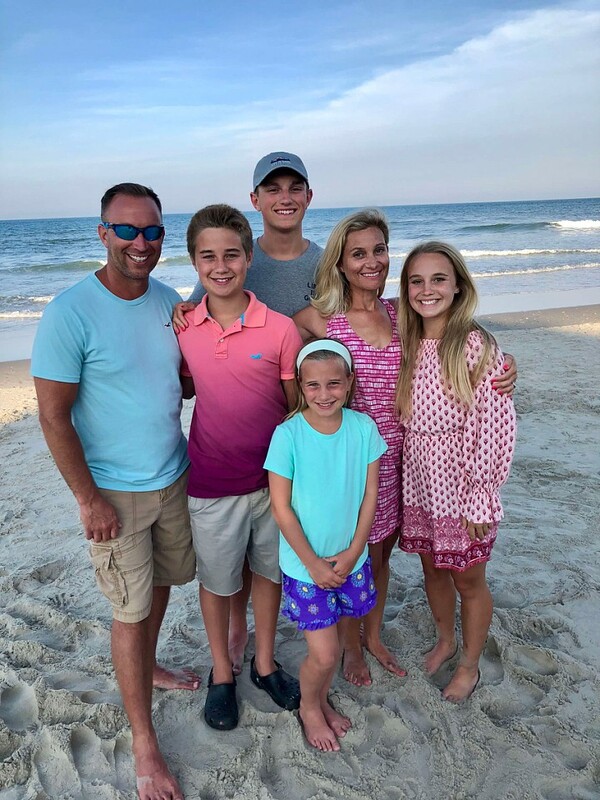 While I still have an eight year old, most of my advice now would revolve around teenage girl drama, cell phone issues, how to get chores done, the fastest dinner to make and the best way to remove a stain from football pants. I'm going to do my best to get back into the swing of blogging more frequently because I love it dearly. I've done a decent job of raising responsible humans (hence the new tagline). My kids play sports, get their homework done most of the time and they are pleasant to be around. In my world, that's a win. I'm sure as my kids continue to grow I'll be able to share some valuable tips. Or some huge disasters. Hopefully not the latter...but life has a way of surprising us. The offspring will still lead a fairly anonymous life. I promise. The dogs are fair game and I don't think they'll mind at all (insert wink emoji).